Ireo IT SEZ comprises of over 10 million sq.ft. of IT SEZ space, in a large master planned development on Gurgaon’s Golf Course Extension Road on the southern edge of the city. 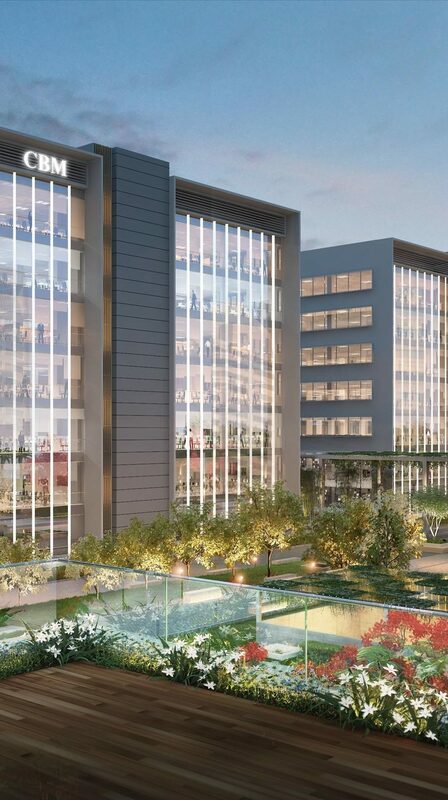 At present, the largest office space in Gurgaon is the DLF Cyber City which will soon be matched by Ireo IT SEZ. Firstgreen Consulting provided Green Building consultancy for IREO IT SEZ for this project. GRIHA rating system consists of 34 criteria categorized under various sections such as Site Selection and Site Planning, Conservation and Efficient Utilization of Resources, Building Operation and Maintenance, and Innovation points. 5 Star rating is highest possible achievement in the GRIHA rating system and Firstgreen Consulting has helped Ireo IT SEZ achieve pre-certification for the project. The Project will greatly reduce the demand for Power as Energy efficiency has been taken into account to save more than half of the power use and over 400 kW of Solar energy would be powering up most of the HVAC and Lighting load for the establishment. The Project is not only Energy-efficient but also environmentally friendly as harmful substances such as CFC (Chloro-fluoro Carbon), VOC (Volatile Organic compound) have been avoided entirely. More than 50% of water use in the building and landscape would be reduced through proper water management measures. The project also has put forward an efficient Solid waste management system through proper disposal and recycling techniques.